NECA has kicked off their 5 Days of Downloads for the 2018 holiday season. Their first offering is an update Visual Guide for their Ultimate 7″ Scale Figures. As usual, NECA had a sneak peek first look in the guide with the first shot of the Predator 2 – Ultimate Elder: The Golden Angel Figure. There are a few notable omissions though, including the Uncharted 4 – Nathan Drake Ultimate Figure, and the God of War 3 – Ultimate Kratos Figure. The full size image can be downloaded at the link below. To kick things off, we updated our visual guide for the Ultimate 7″ scale action figures! It’s available as an extra-large, 300 dpi JPG. Download link appears below the image! NECA has kicked off their “5 Days of Downloads” for 2017 with a new visual guide. The new images showcases ever released and officially announced Ultimate 7″ Scale figure they have released. 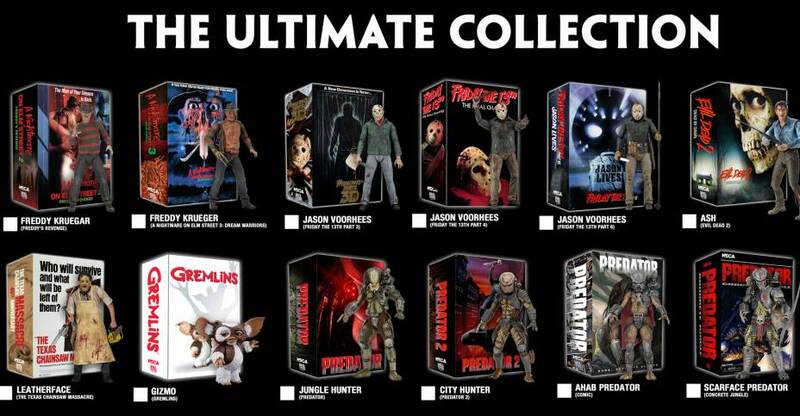 To kick things off, we updated our visual guide for the Ultimate 7″ scale action figures! (Film licenses only, excludes Video Game Appearance and Expanded Universe Ultimates). It’s available as an extra-large, 300 dpi JPG. Click the banner to check out the new visual guide. A much larger version is available directly from NECA. 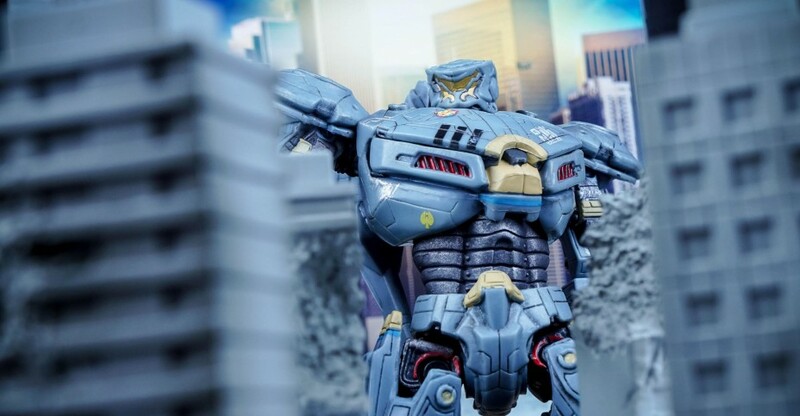 At last years San Diego Comic-Con, NECA revealed the first Pacific Rim Ultimate 7″ Scale Figure. At the event, we were given our first look at the Ultimate Striker Eureka Figure. The crew at NECA went back and completely remade the Australian Jaeger with an all-new body, adding in new details and more articulation. NECA used the digital files directly from Industrial Light and Magic (ILM) to ensure film accuracy. Toyark sponsor Entertainment Earth sent along the figure for us to check out. We have over 55 high resolution photos and a full review. Read on to check it out. Two hotly anticipated NECA releases are now shipping to retailers. The new 1/4 Scale Jungle Hunter Predator with LED Features and the Pacific Rim Ultimate 7″ Scale Striker Eureka are on their way to store shelves. The figures should begin showing up within the next couple of weeks. If you want them now, you’re in luck. The figures have been added to the NECA Ebay Store and the NECA Amazon Store. Check out a few images of each after the jump. We’ll have reviews and galleries of these items in the coming weeks. You can check out the images and all of the info by reading on. Here’s the great looking Pacific Rim display from NECA at San Diego Comic-Con 2015. NECA brought along their next Ultra Deluxe Kaiju! Mutavore is an all new mold and larger than the other Ultra Deluxe figures. Also on display was their latest Jaeger, an Ultimate Striker Eureka! Both are in the 7″ scale line of Pacific Rim figures.